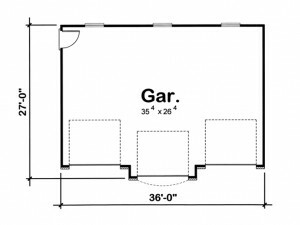 Can I Change my Garage Blueprints? 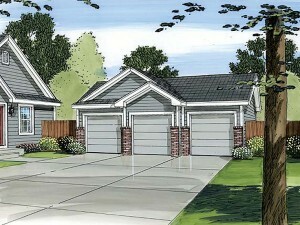 I spent quite a bit of time searching online for the right garage plan. I found one that I really like in an architectural style that matches my house. My lot accommodates the width perfectly, but I’d like it to be a bit deeper to accommodate my boat and give me room to add a bath. (I spend most of my time outside doing dirty jobs, like yard work, gardening and working on my favorite old car. The last thing I want to do is walk into my new home with dirty hands and feet when it isn’t necessary.) After checking with my builder, I learned that desired modifications are fairly easy to make, but he informed me the city building department will not issue building permits if the changes are not drawn on my garage blueprints. I verified this with the building department, and yes indeed, I will have to make modifications to floor plans before I submit them to the city for approval. I didn’t really know what my next step would be, so I contacted The Garage Plan Shop for advice. I was happy to discover I have a couple of choices regarding the modifications I want to make, and either choice seems fairly easy to work with. The customer service representative to me I can submit a modification request form detailing my changes to their customizing department to receive a free quote for the modifications. If I am happy with the quote and the estimated time frame works with my schedule, they will handle everything. A designer will even send me a sketch of my desired changes for my approval before the plans are modified. My second option is to purchase a reproducible master or CAD file of the garage plan and work with a local residential designer, an architect or my builder (if he is qualified) to make the changes to the plans. Either way, making changes to the design I have selected will be simple and easy. I am happy to know that I will be able to change my blueprints to suit my needs hassle free.